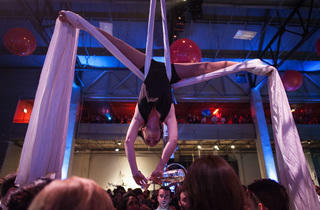 Photograph: Max Herman Attendees mingled with fire breathers, trapeze artists and more at Redmoon's New Year's Eve Revolution party in Pilsen, December 31, 2014. This renegade puppet troupe’s calendar is sporadic, and if you want to catch the group you’ll have to chase it all over Chicago’s expansive city limits. 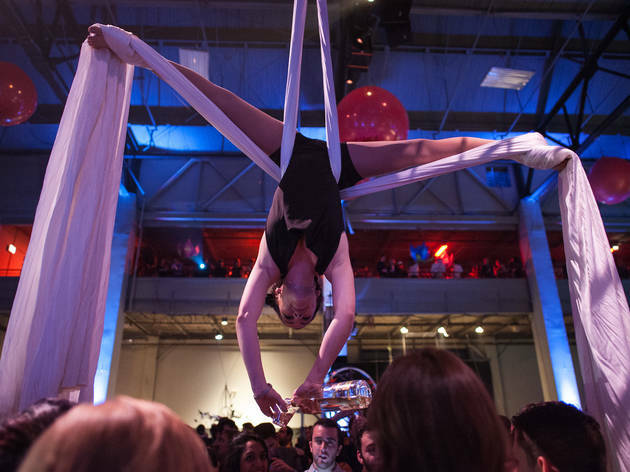 But while Redmoon still produces the kind of large outdoor spectacle that made this troupe a Chicago institution—pageants that offer large, age-diverse casts and a host of European-influenced visual flourishes—it mounts some shows here at its Pilsen warehouse home base. El stop: Red to Cermak/Chinatown. Bus: 21, 62.